MediorNet unleashes the true potential of fiber-optic signal transport, which results in a completely new philosophy for broadcast, event, stadium and campus installations. MediorNet combines signal transport, routing, signal processing and conversion into one integrated real-time network that enables production site data transport through just a single fiber link, providing flexibility to any installation and significantly reducing cabling and set-up time. N-iX Dedicated Team was selected for completing full range of tasks regarding software/hardware development for MediorNet. For the Customer it was the first experience of outsourcing partnership outside Austria and the requirements for potential partners were set at the very high level. Due to the system complexity and specification the general time for testing and the number of tests were limited. Especially strong requirements were designed for the development processes and quality. N-iX used its long-term experience in setting up remote teams to start work as quick as possible. During the first 2 months of cooperation, N-iX managed to fit its production process to Customer`s corporate standards and to meet the requirements on product quality and functionality. Over the next 3 months, the first working prototype which was ready for testing and integration, was introduced to the Customer. Thus, N-iX provided the Customer with the full cycle of high-tech software/hardware development and proved itself as a reliable partner for complex projects with tied deadlines, strict adherence to the specification and the highest quality requirements. MediorNet (now part of Riedel Communications GmbH & Co. KG ) is a real-time network for video broadcasting, audio, data and communications. 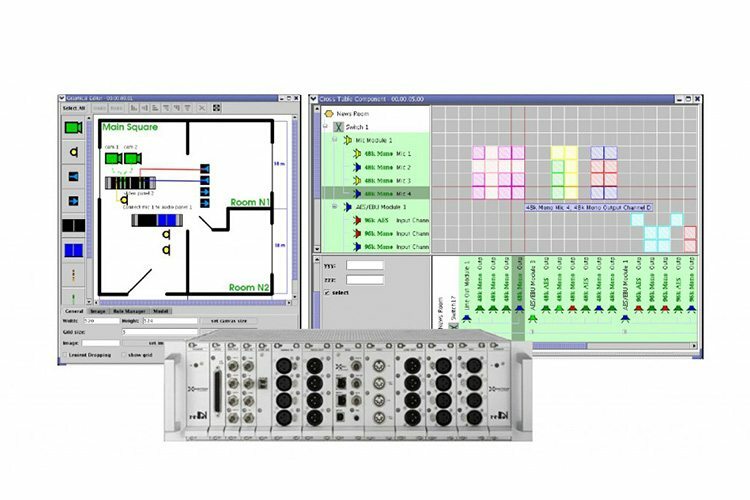 MediorNet integrates all kinds of signals, such as multi-channel video and SD-SDI, HD-HDI, multi-channel audio, camera control data, Ethernet and Intercom in real-time and uncompressed on one network. It includes signal routing, allowing the user to send any incoming signal to any output or even to multiple outputs with just a mouse-click or, even more conveniently, by using a router control system. The open architecture of MediorNet allows for a future developments without any changes to the hardware and is available to any manufacturer.